It’s the Big Apple’s turn next with the biannual Playtime New York trade show due to kick off on 30 July. We’ll be covering the latest and greatest from this boutique show where exhibitors will be showcasing their collections for 2012. It’s amazing how far ahead they need to work! In the meantime we have plenty of offerings from the recent Playtime Paris show, so you can read up on all the fashion, plus the rest of the beautiful accoutrement for babies and kids. 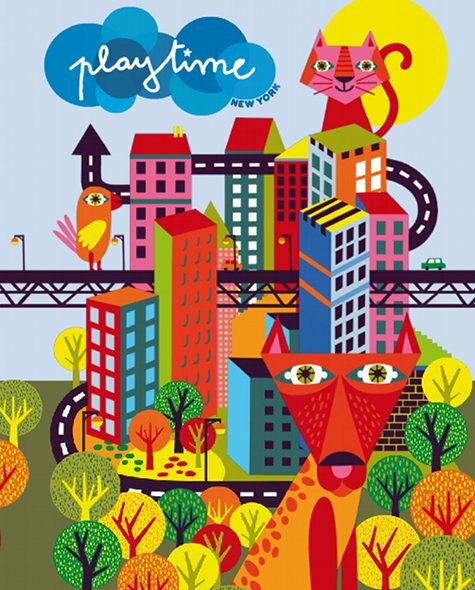 Check out the amazing Playtime New York site – the artwork never fails to make me swoon!